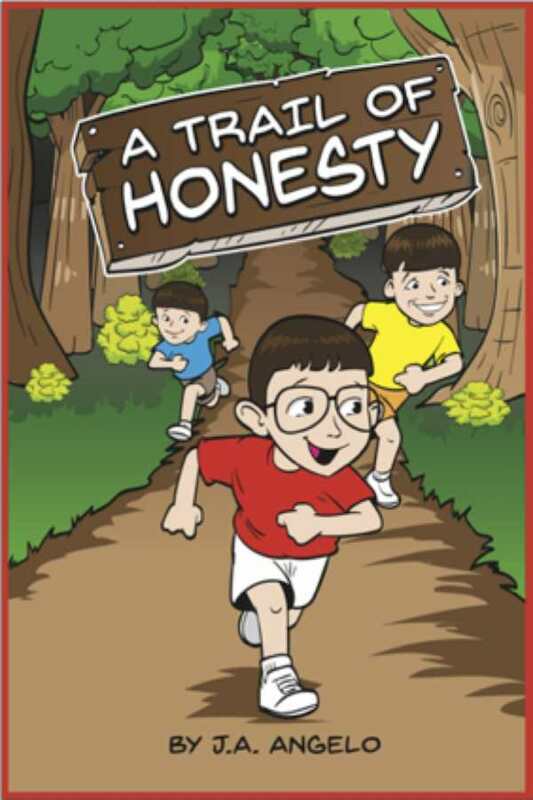 A Trail of Honesty is a great learning tool to teach young children about the importance of being honest. J. A. Angelo’s picture book A Trail of Honesty teaches its audience about telling the truth and that there are consequences to their actions. The Angelino boys are on summer break, vacationing with family and friends at a local state park campground. There, they play games, swim in the pool, and take nature walks. Walking with their father, they pick fresh apples to snack on after dinner. When the boys’ father asks them whether they’ve thrown away their apple cores, all three boys answer “yes.” Later that evening, a raccoon jumps onto the hood of the family car to eat the apple cores that the boys left behind, and the creature leaves a dent. The narration follows the three brothers, describing their actions and explaining what they mean for the whole family. It’s non-biased—children can decide for themselves whether or not what the boys did deserves discipline, and what kind. The brothers each act in the same way as the others and therefore all learn the same lesson. No one is singled out or in particular trouble—they all are treated the same way by their parents. Even though their parents know that the boys lied and confront them about it, the story ends by saying that the boys will face consequences, but doesn’t explain what they are. This evasion of a clear ending to their story is unsatisfying in terms of the narrative, though it sets up the designed discussion between the audience and their parents about the consequences that should come from lying. The main lesson—identified in the discussion pages as the importance of honesty—is easily grasped from the events that take place. The text is easy to read and runs a good length. Each paragraph works hard to express everything that the boys experience at camp. The lack of dialogue queues and named characters detracts from the narrative, though, creating distance between the audience and the family. The computer-generated images are colorful and consistent. The three boys and their family and friends are easily identified on the page. Their nonverbal emotions are expressed well, enhancing the story and adding a visual component.